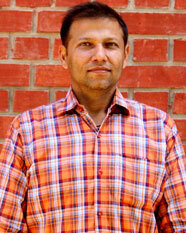 Dr. Prem Prakash Dewani is an Associate Professor of Marketing Area at Indian Institute of Management, Lucknow. He has taught Pricing Strategy, Promotions Strategy, Consumer Behaviour and Marketing Management II to Post Graduate Management students and Consumer Behaviour and Marketing Theory to Doctoral Students over the last 5 years. He has also been actively involved in training working executives in these areas. He has hands-on Industry and Academic experience of Nine years in various middle management positions. Prem has published research papers in international refereed journals including Journal of Retailing and Consumer Services, Tourism Economics, International Journal of Indian Culture and Business Management, Journal of International Business Education, IVEY Case Publication His work primarily relates to role of emotions in long term customer relations, conditional promotions and pricing.